NEW YORK, Oct. 1, 2018 /PRNewswire/ -- Send a raven— Scotch has officially entered the realm. 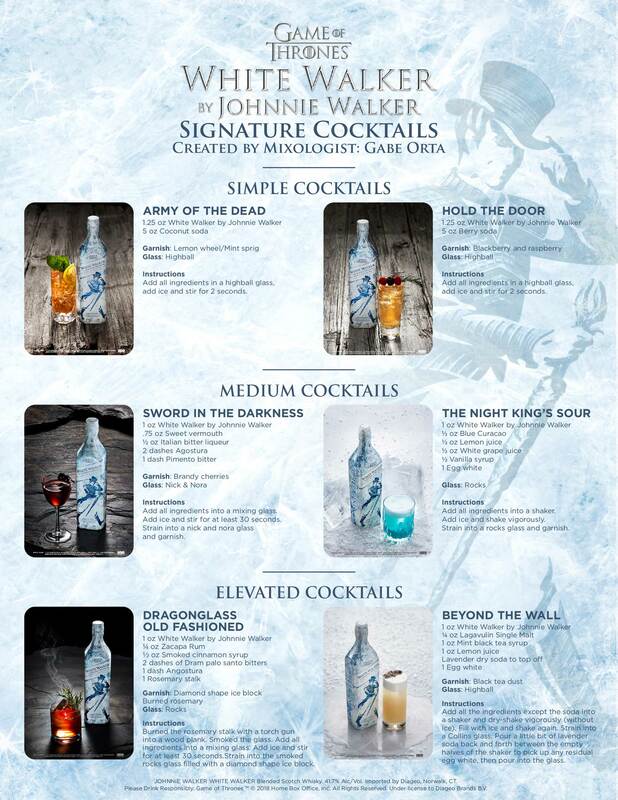 In collaboration with HBO®, DIAGEO is unveiling the new White Walker by Johnnie Walker Blended Scotch Whisky and The Game of Thrones Single Malt Scotch Whisky Collection. The limited-edition whiskies are inspired by the iconic characters and the creative world of Westeros and beyond and are here to tide fans over during their wait for the eighth and final season. Even the most revered Maester couldn't have predicted a collaboration of this monumental proportion. 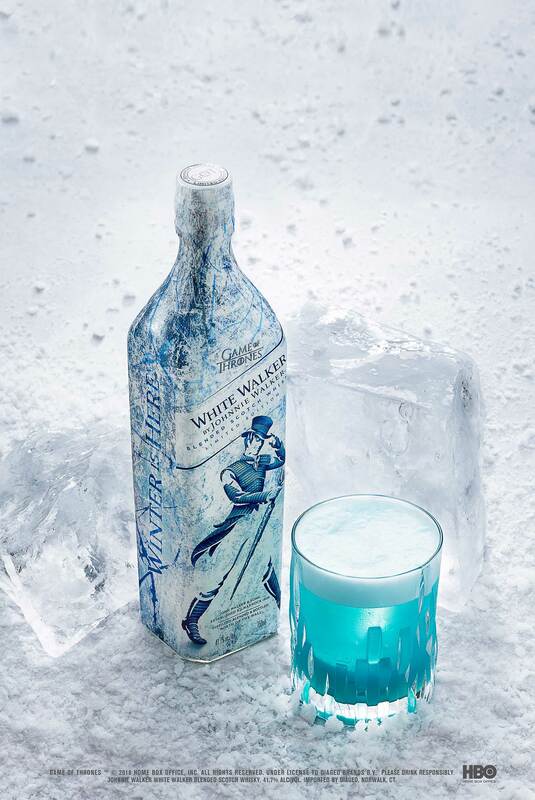 White Walker by Johnnie Walker is best served cold directly from the freezer and features an unexpected icy reveal on the bottle when chilled. 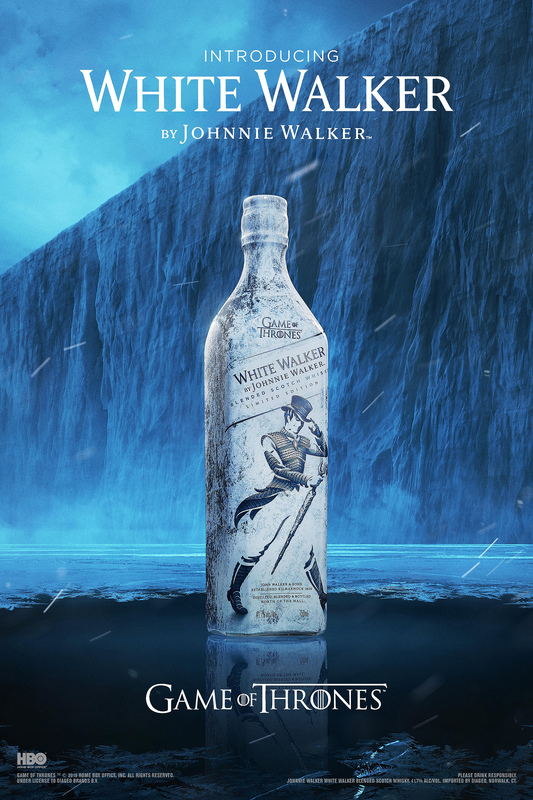 Introducing Game of Thrones inspired White Walker by Johnnie Walker Whisky in celebration of the eighth and final season. 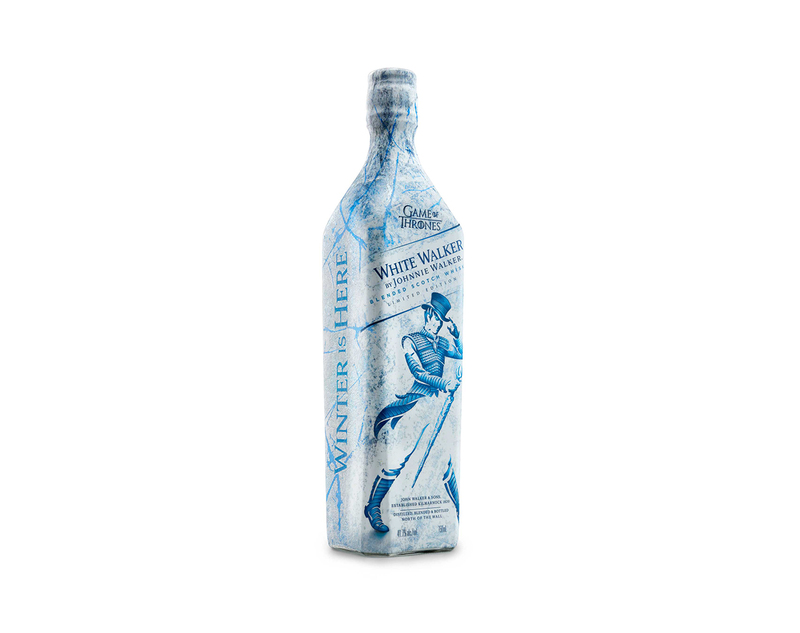 White Walker by Johnnie Walker is a limited-edition Scotch whisky blend inspired by the chill-inducing White Walkers characters from Game of Thrones. "Groundbreaking partnerships continue to be a strategic initiative for Diageo as they foster exceptional creative collaboration and help showcase the breadth of our portfolio. 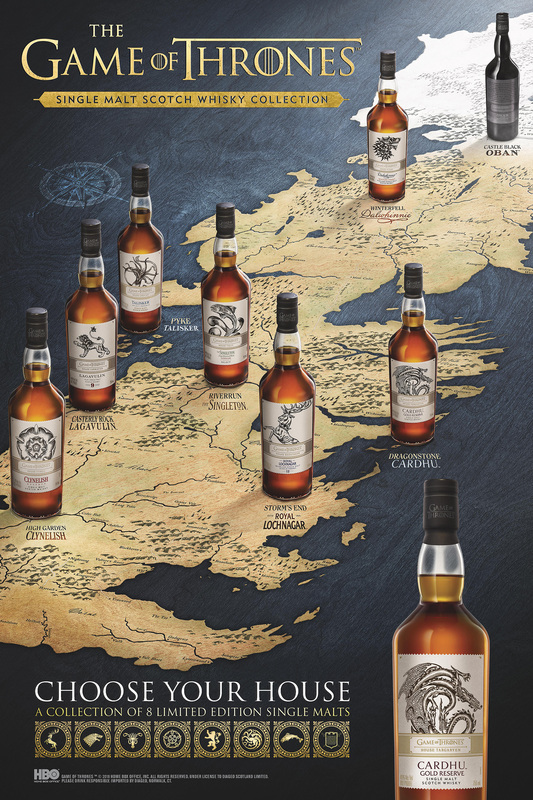 We are very proud to have our collection of single malts and Johnnie Walker, the number one scotch whisky brand in the world, collaborate with HBO's most successful TV franchise to develop these limited-edition offerings for fans to collect and celebrate the final season of Games of Thrones," said Dan Sanborn, Senior Vice President, Culture and Partnerships at DIAGEO. "We knew there was fan appetite for a Game of Thrones whisky and once we saw Diageo's vision for a way to collaborate together we knew the idea was perfect and the time was now. From the beginning, they understood that we wanted to create something special, and they've accomplished that with both White Walker by Johnnie Walker and the single malt collection. We're confident fans will enjoy sipping these delicious whiskies as they wait for season eight and beyond," said Jeff Peters, Vice President, Licensing & Retail at HBO. The first limited-edition offering available in the realm is White Walker by Johnnie Walker, inspired by the most enigmatic and feared characters on the show — the White Walkers. This blend was created by whisky specialist George Harper alongside the small team of expert blenders at Johnnie Walker. At the heart of this new, innovative blend are single malts from Cardhu and Clynelish – one of Scotland's most northern distilleries where whiskies have endured long Scottish winters, not dissimilar to the climate north of the wall. This special blend has notes of caramelized sugar and vanilla, fresh red berries with a touch of orchard fruit and is best served chilled – the Night King would have it no other way. The bottling brings you right to the Frozen North with its icy white and blue design along with the iconic Striding Man now fashioned in armor to fit in among the ranks of the Night King's forces. Utilizing temperature-sensitive thermochromic ink technology, fans will be reminded that "Winter is Here" from an unexpected graphic icy reveal on the bottle when frozen. The Game of Thrones Single Malt Scotch Whisky Collection features eight scotches that are all new to the U.S., and are each paired with one of the iconic Houses of Westeros, as well as the Night's Watch, giving fans an authentic taste of the Seven Kingdoms and beyond. Diageo's unparalled diverse range of distilleries in Scotland, much like in Westeros, each have their own unique characteristics and produce a distinctive whisky representative of its local terroir. 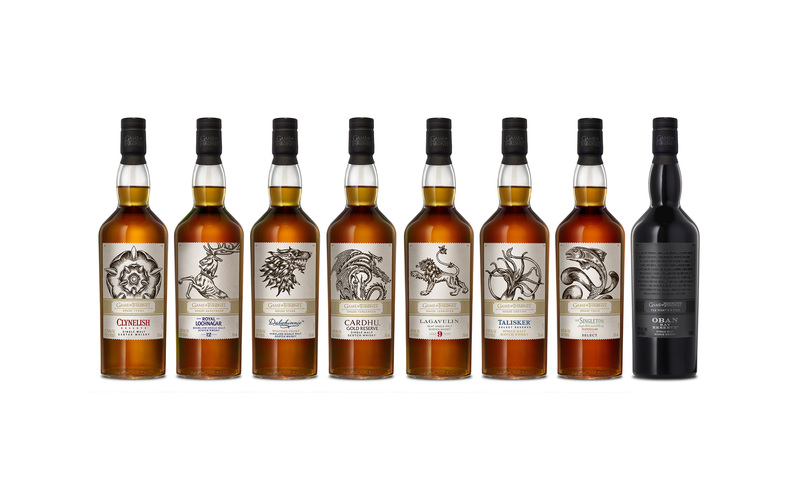 These similarities were the inspiration behind the collection, drawing an authentic storyline between each House and single malt pairing – from the power of water between both House Tully and The Singleton of Glendullan, to the legendary women behind House Targaryen and Cardhu, or the royal lineage of House Baratheon and Royal Lochnagar and more. 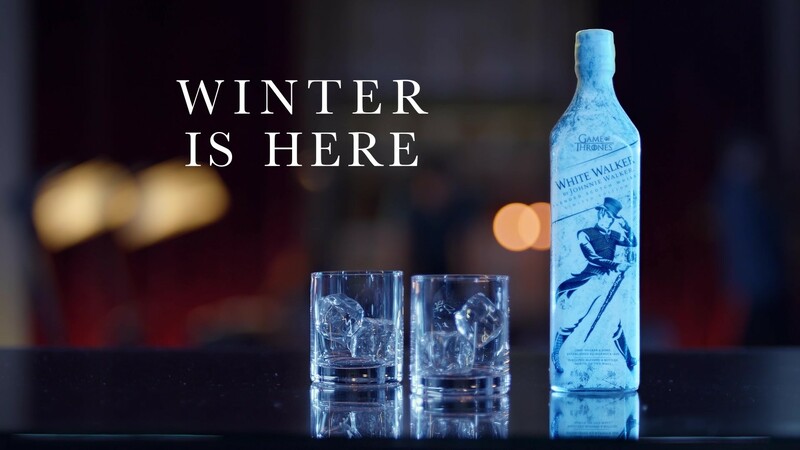 Be sure to have White Walker by Johnnie Walker or one of the unparalleled Game of Thrones Single Malt Scotch Whiskies on hand to toast to the final season before they are all gone. 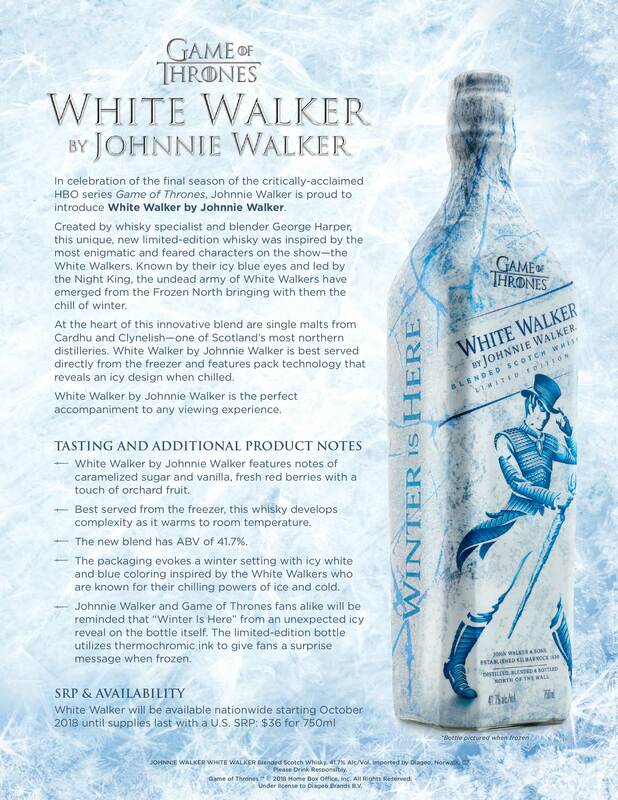 White Walker by Johnnie Walker will be available nationwide starting October 2018 wherever fine spirits are sold. The Game of Thrones Single Malt Scotch Whisky Collection will be available nationwide starting November 2018 wherever fine spirits are sold. Suggested retail pricing is included below. 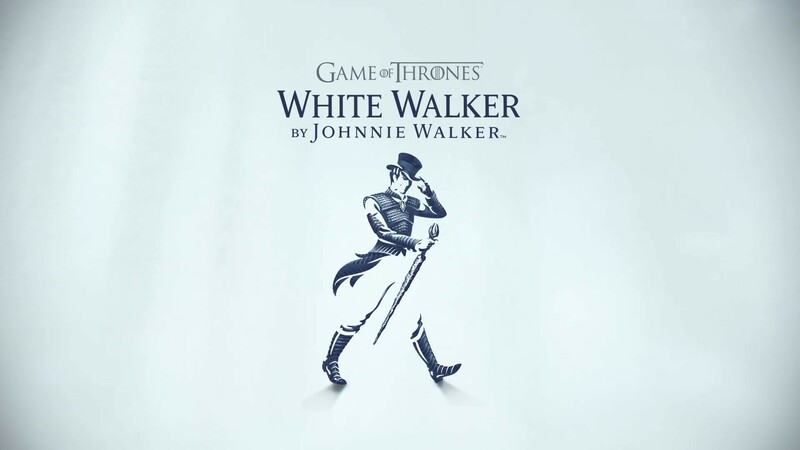 For more information on White Walker by Johnnie Walker, please visit www.johnniewalker.com and follow @JohnnieWalkerUS on Facebook and Twitter and @JohnineWalker on Instagram.